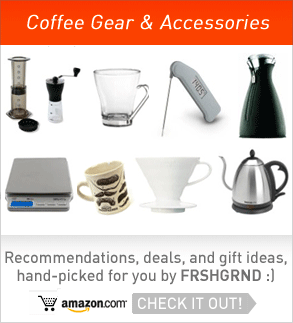 Cold Bruer is a new Kickstarter coffee project worth checking out. The transparent design and bold color really pops; I love the look of this brewer! I don’t drink cold brew coffee that often (I’m usually more happy drinking great coffees hot, where more nuanced flavor is extracted), but this is making me reconsider that for those times when sweet, cold & refreshing is the goal. The Cold Bruer works the same way many other drip-style cold brewers do, saturating a bed of coffee with cold water one drip at a time. 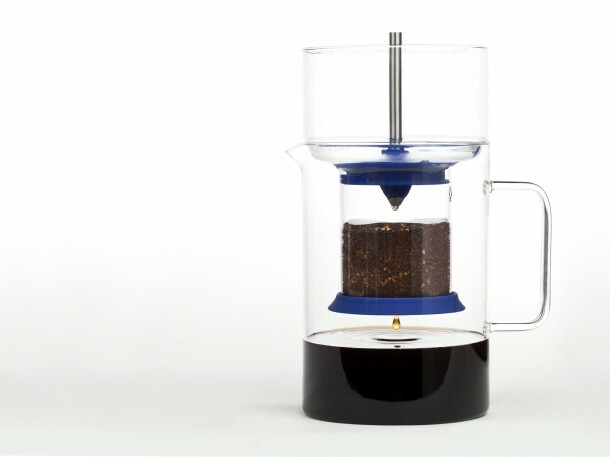 An adjustable valve lets you control the rate of flow, and the Aeropress filter on top of the ground coffee is a simple way to reduce any agitation by spreading the water evenly. Prima Coffee has a nice overview of other Cold Brew (and “Ice Brew”) methods, if you’d like to dive in to your full range of options. Check out the Cold Bruer video on Kickstarter (or below) and pitch in $50 if you’d like to try one yourself!